Performing is made enjoyable with the Alesis V25 MIDI controller keyboard and this 25 key USB controller features 8 illuminated drum/ trigge.. 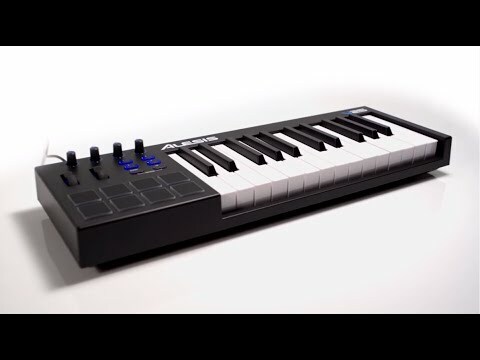 Performing is made enjoyable with the Alesis V25 MIDI controller keyboard and this 25 key USB controller features 8 illuminated drum/ trigger pads which make performing in the dark a worry of the past. With pitch/ modulation wheels and effect assignment knobs you're always in control of your performance.